We are grateful for the feedback we receive at The Spiegel Center! After reading many surgeon reviews online I decided to have an online Skype consultation with Dr. Spiegel. I was immediately at ease and felt heard leaving me full of confidence to move forward and book my surgery. Dr. Spiegel’s staff (especially Carole) made scheduling easy and were really helpful in preparing me with what to expect and where to stay which really helped to reduce anxiety about the upcoming trip. Boston was lovely and meeting the Dr. and team in person was great. Every one was extremely warm and welcoming and the Dr. took his time to answer all my questions. Surgery took place in an amazing modern and clean Hospital which I recovered in for a day or two before going back to my hotel with a friend. The entire time during recovery Dr. Spiegel was very easy to reach and the communication and care was excellent. After about 10 days I returned to the Doctor’s office to have my stitches removed and say good bye to everyone before the trip back home. My flight back to Vegas from Boston was a completely different experience. Even though I had bruises and bandages I didn’t experience one instance of being misgendered. It was on the flight back home that I realized what a massive success my surgery had been. Two years on and the effects have been profound. Thank you. You have made such a difference in my life. 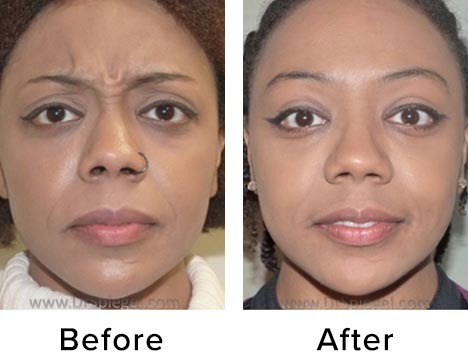 Brow lift, eyelid lift, and rhinoplasty. All came out great! 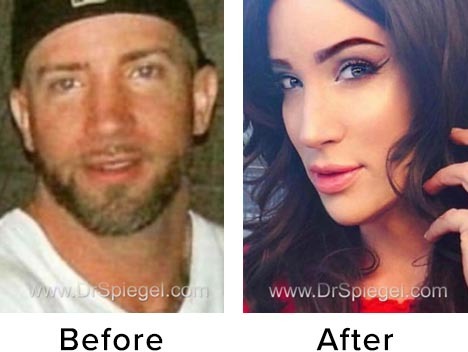 One of the hallmarks of Dr. Spiegel’s work is that you never look like you had surgery, just natural, like you were born that way. What a nice feeling to look at myself in the mirror and like what I see. I cannot believe I waited 29 years to have this confidence. Thank you! My eyes are great, no complications, so good in fact that I can hardly find the incisions and it’s only two weeks tomorrow! The suture technique was perfect and left no marks. Color me thrilled! Please let Dr. Spiegel know I am so grateful for his expertise and artistry. Dr. Onir made my lips perfect! I wish I had seen her sooner. Watch out world! The results are great, and I want to thanks you all again! My two procedures were easy to have right in the office. What a great decision! Dr. Spiegel is a great listener and was totally honest with me. He made suggestions based on what he thought was best, but also listened carefully to what my goals were. He made me feel safe and that I was in good hands. It has now been a year since my mole removal. There are no words to describe my gratitude. Not only did you remove my moles, but you sincerely took the time to talk to me and see who I am as a person. Even though these moles are superficial, you saw that my beauty was more than skin deep. Dr. Jeffrey Spiegel is simply wonderful! Not only is he an incredibly talented surgeon, but he actually listens to you. He is truly compassionate and made me feel we accomplished everything together as a team. I am very, very pleased with the results and look years younger than my chronological age. Dr. Spiegel has literally changed my life; I am so thankful to have chosen him as my surgeon. Thank you for a truly beautiful experience. Any concerns I had were immediately addressed with kindness and professionalism. I knew I was in the right hands from the moment I stepped into the office. We all know that Dr. Spiegel’s skills are second to none, but he brings that to a completely different playing field with his holistic and honest approach, and fantastic bedside manner. I am very happy to have found you! You have quite literally changed my life. The kindness and care you showed me is something that I carry with me every day. I can’t help but be thrilled with the results. Dr. Spiegel should be proud of his work; I get asked all the time who did my surgery. Thanks so much for everything. Thanks again to Dr. Onir and Dr. Spiegel for their help and good work. I’m still thrilled I did what I did, and the whole experience was much easier than I ever imagined possible. Well, thanks again to you and Dr. Spiegel for all your good work and help. I’m still thrilled I did what I did these past 3 weeks, and the whole experience was much easier than I ever imagined possible. Please let Dr. Spiegel know I am so grateful for his expertise and artistry. And let him know I think you girls are awesome! He has the best staff! Please pass along my thank you to everyone that worked with me over the last two weeks. Everything went better than I thought it would. Everyone was very supportive and kind. Those little things mean a lot especially when recovering from any type of surgery. 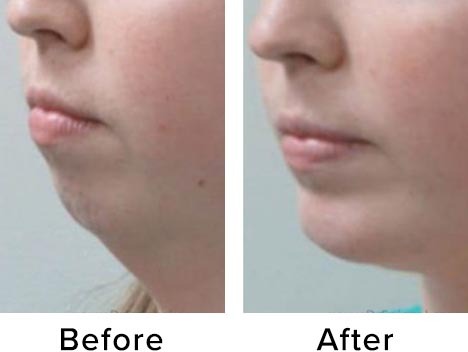 Wow, the results are absolutely amazing. We’re still convinced here that Dr. Spiegel uses magic. It feels so wonderful to look in the mirror and not be addled with frustration over how I look. Dr. Spiegel is a very skilled surgeon! He and his team have gone above and beyond to make me feel welcomed. I had no idea walking in what could be done to minimize my scars appearances, but Dr. Spiegel and his team walked me through the steps educating me on the best course of treatment for my desired results. The IPL laser sessions took the redness appearance of my scars away, and the Microneedling/Botox injections sessions have been working to make the scarred areas more even and level with my skin. 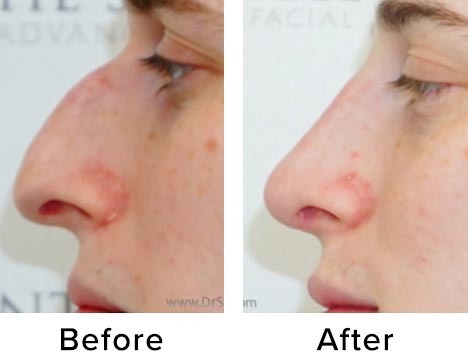 Dr. Spiegel has done a wonderful job restoring my facial appearance, as well as my confidence! Excellent, Dr Spiegel was highly professional and very sensitive to my needs. He was very supportive to me and my partner. Dr Spiegel no his team bent over backwards to make things work. I would not go anywhere else for this surgery. The staff was just awesome. Dr Spiegel was equitably awesome. And I love his sense of humor. All of these things helped to put me at ease. I know I’ll have more to say as time goes on. But even at this stage, I know I picked right when I chose Dr Speigel. Big hugs to this wonderful staff as well!! Dr. Spiegel is a true artist. Add to that a pleasant experience beginning to end. His staff are friendly, welcoming and make me feel right at home. The results I received are incredibly natural and I get compliments all the time. I do my research and it paid off! Dr. Spiegel made me feel very comfortable–was super professional, put me at ease, and gave me just the minimal “less is more” results I had articulated. Couldn’t be happier! His staff was courteous, and super responsive when I had questions in the days following the procedure. I searched two years for a plastic surgeon. The name of Dr. Spiegel kept coming up as being a “true artist”. He took such time explaining how HE saw my face and what he would recommend for my procedure. Our mutual goal was to look like myself, only several years younger. It is a journey which requires patience and Dr. Spiegel and his staff were always available for reassurance and to tell me it would all be perfect in time. It has only been two months and I am already thrilled with my results. My face, neck and lip lift and lower bleh were exactly what I needed and so glad I trusted his trained eye and acumen. Dr. Spiegel is the kindest medical professional I have ever met. He made me feel comfortable, and was honest and factual about everything he said. He made suggestions without pressuring me or making me feel insecure, AND the five procedures I had done turned out PERFECTLY. I would recommend him to anyone in my life without a second thought. Thank you Dr. Spiegel! I had a forehead reconstruction with brow lift and trachea shave done with Dr. Spiegel on March 2nd 2018 at Mount Auburn Hospital. I came all the way from Korea to see Dr. Spiegel because Korean surgeons can’t perform the type 3 forehead reconstruction I desperately needed. Not only did both procedures go perfectly, my experience at Mount Auburn Hospital was absolutely amazing. He performed the trachea shave in a very safe manner, and I have experienced no negative changes in voice what so ever. Dr. Spiegel performed the brow lift slightly differently for me and the result suits my Asian face perfectly. He also fixed the minor ptosis in my right brow. Also what amazes me is the incision for my forehead reconstruction was closed up so carefully that after one week I can barely see the actual scar line except the scabs around it. As it turned out Dr. Spiegel was surprised too, because he said most patients aren’t nearly as careful as me after the procedure and always stress the surgery spot and stretch out the scar tissue early in the recovery process. Not only was the staff at Mount Auburn Hospital super friendly, I was offered a single room with a beautiful view of the river. My first night was absolutely painless, and I my swelling was minimal. Also, the patient coordinator Katie at Dr. Spiegel’s office is the best! She was always responding to emails promptly, and she helped me so much with billing and scheduling the surgery. I messed up the payment because I didn’t read the instructions carefully but Katie figured everything out and dispersed the payment for me. Thank you so much!! Overall, I am very impressed by Dr. Spiegel and his team. I’ll definitely come back if I need anything else in the future, thank you thank you! R and I have been to Boston twice to have procedures performed by Dr Spiegel and R is recovering very well from her extensive surgeries. Each experience has been wonderful, we love the staff who is so supportive and caring. Carole our coordinator each time was so helpful in getting us all setup of the surgeries. Carole kept in contact with us to make sure we had everything we needed to make our trip from Seattle to Boston successful. Thank you Dr Spiegel, Carole and staff for making our time with you a pleasant one. Dr. Spiegel is very attentive and he and his office give you their full attention while you’re under their care. I was never made to feel like I was asking too many questions or that I was wasting anyone’s time. The work was very natural looking and exactly what I had hoped for. In addition to the very high quality of medical care, Carole in the office was AMAZING answering questions and walking me through the entire process with incredible grace and kindness. I’m really glad I choose Dr. Spiegel and his team! 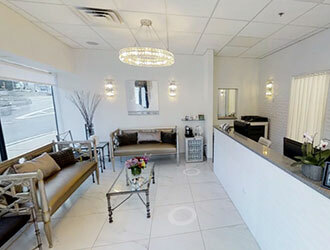 Went here for a consult for microneedling or IPL and met with Kayla and Taylor. They were both extremely knowledgeable, were able to answer all of my questions and help me decide on a treatment that worked for me! I would recommend the center to anyone considering a procedure, they were so helpful and understanding about my skin issues too!